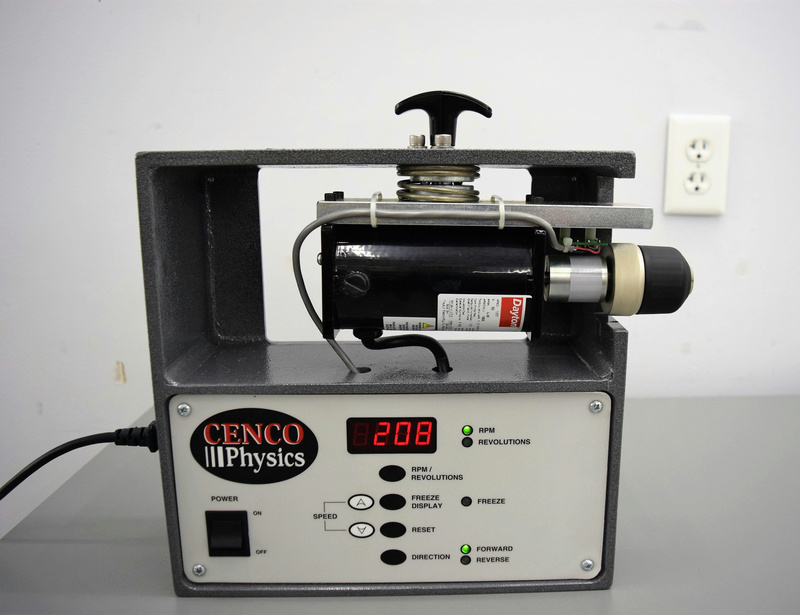 Cenco CP31377-01 Precision Centripetal Force Apparatus w/ Digital Display . New Life Scientific, Inc.
New Life Scientific technicians tested that this product demonstrates basic functionality. This device spun up to 1800 rpms for around 5 minutes with no issues; also includes power cable and manual. The motor driven rotator with digital display provides a mechanical source of rotary motion over a range of possible speeds. You can rotate objects in either a horizontal or vertical position. Tested, good working condition. Very little cosmetic wear.